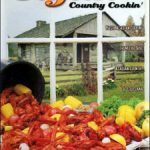 Tony Chachere’s Cajun Country Cookbook is a classic Cajun cookbook found in thousands of homes in Louisiana. 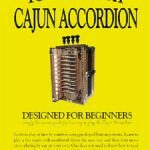 A Cajun just isn’t a true Cajun cook without Tony Chachere’s Cajun Country Cookbook. Now you can serve delicious Cajun food by using the easy-to-follow recipes direct from the “Ole Master” himself. Treat yourself, your family and your friends to mouthwatering jambalaya, gumbo, etouffee, red beans & rice, shrimp creole and much, much more. 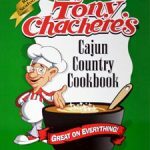 Order now to get your copy of Tony Chachere’s Cajun Country Cookbook – “the cookbook that created a legend”. Over a half-million copies of this book have been sold. Featuring approximately 350 recipes. 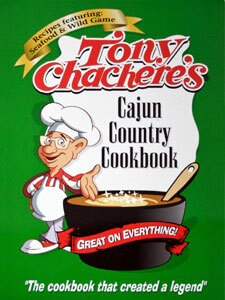 *This is the revised edition of Tony Chachere’s original Cajun cookbook.